From personalized gifts to wedding and home decor, Walnut Hollow Pine Shapes are ready for your unique design ideas. The unfinished wood surfaces are perfect for a wide range of DIY projects with hand lettering, painting, wood burning, and more. Choose from a variety of shapes. 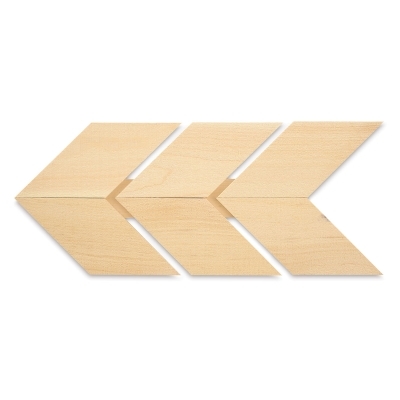 With its reclaimed pallet-wood look, this chevron arrow adds a rustic modern touch. Give it an ombré paint job or hang it in a nursery — it's great in a variety of spaces. The arrow is made of rough-hewn pine and measures 24" × 10" × 5/8".